Spiced pumpkin hummus is a delicious vegan filling in these fall quesadillas! Load them with guacamole, greens & if not vegan, cheese! Weeknight-friendly. Here’s my question for all of you pumpkin lovers out there – what do you do with your leftover pumpkin puree? So many recipes (including my own) call for 1/2 cup of pumpkin puree. Whether I open a can or roast a whole pumpkin, I’m always left with leftover mash. It calls at me from the fridge saying “how about pumpkin cookies?” or “let’s make muffins.” But after consuming too many pancakes for the making of last week’s post, I wasn’t in the mood for anything sweet. So I got this idea for pumpkin hummus… and I thought it would be great smushed in between tortillas with a little melty cheese. The nice part about these is that the hummus replaces the need for tons of cheese but still makes the quesadillas stick together. I usually make quesadillas by piling more cheese on Jack’s and less on mine… which means I usually end up with wimpy flat tortilla wedges. But not this time! These are filling and creamy in the middle, and they’re especially tasty with a little slather of avocado on top. Apologies in advance for another recipe with 1/2 cup of pumpkin puree – might I suggest pancakes with your leftovers if you haven’t made them already? Make the hummus by pulsing the pumpkin puree, chickpeas, garlic, spices, salt and pepper in a food processor. Add the lemon and olive oil and puree until smooth. Taste and adjust seasonings. Assemble 2 tortillas with a big scoop of hummus, a few chickpeas, a few greens and sprinkle of grated cheese. Place 2 remaining tortillas on top. Heat a medium skillet to medium heat. Brush the pan with a little bit of oil and cook each quesadilla for few minutes per side or until the tortillas are golden brown and the cheese is melted. Meanwhile, use the back of a fork to mash together the avocado, lemon, chile flakes, salt and pepper. Slice quesadillas into 4 wedges each and serve with simple guacamole. Store extra hummus in the fridge for a few days and slather on sandwiches or eat with chips or toasted pita. 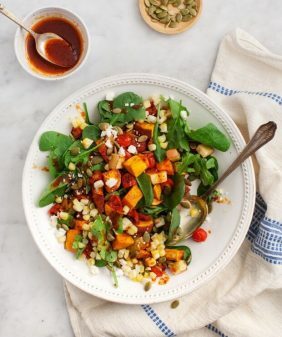 *You can use canned pumpkin, fresh pumpkin, butternut squash or sweet potato mash. (Cook the pumpkin/squash/sweet potato until the flesh is soft. Let cool before blending into hummus). 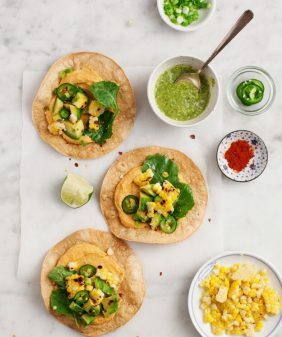 Make these gluten-free by using gluten-free corn tortillas. Make these vegan by subbing vegan cheese or omitting the cheese altogether. I used some leftover pumpkin puree as the “sauce” for a pizza the other day, then topped with gouda cheese; it was a great combo and a slightly different, exciting way to use pumpkin. Totally. I think quesadillas are a great way to use up leftover puree. Those colors are so pretty! I run into the same problem myself, using the extras in soups and risotto. If I’m feeling really organized (questionable…) I will freeze the rest in ice cube trays. I love pairing pumpkin with Mexican spices of cumin and coriander! It’s so inviting and I agree sometimes you just need a break from pumpkin muffins and cookies (but not for long 🙂 ) Thanks for sharing! I usually bake with it, but this is a much better idea! Definitely a fun use of pumpkin. i usually throw leftover pumpkin into my smoothies but this is a great savory recipe. I keep ladling pumpkin puree into lattes… And I actually freeze a bunch! 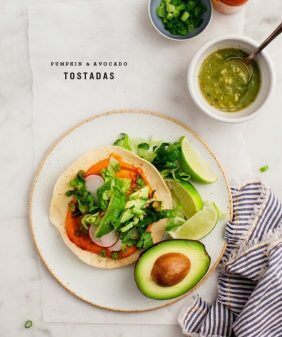 But that being said, just this week I was left with a cup of pumpkin puree from recipe development, and I devised a taco recipe that would incorporate the puree in much the same way as you used here, which I’ll be posting this Friday. At the end of the day, this is a great and creative way to use up pumpkin! Hummus is one of my absolutely favorite things to eat and I try and make everything into some sort of hummus, so pumpkin hummus is now my next to try. Yum. wow, what a creative way to use leftover pumpkin! It’s true all pumpkin recipes are usually sweet, so it’s nice to see something savory! Last night we actually put some pumpkin puree in our crescent rolls and then baked them, it was delicious! Wow, what a fun way to incorporate leftover pumpkin into a very un-pumpkiny dish. I will definitely give this a try! Now this is a great idea for leftover pumpkin. In the midst of so many baked goods this time of the year, I appreciate the savory spin using pumpkin. What a perfect quesadilla. 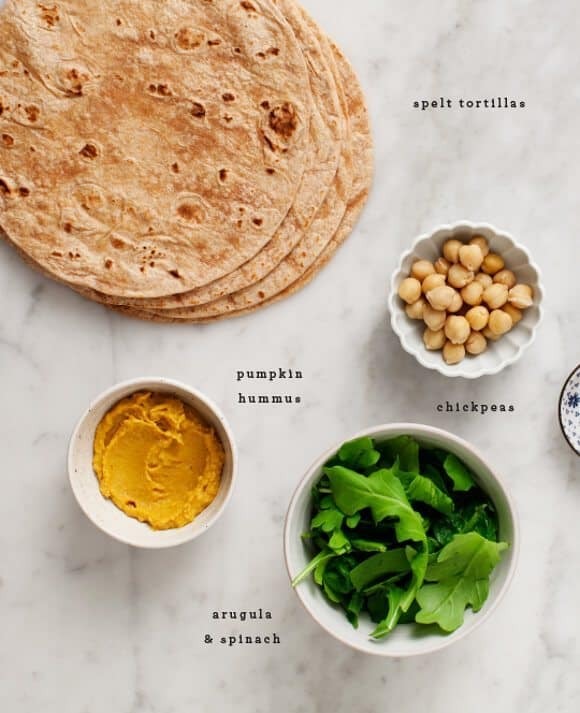 Pumpkin hummus sounds delish, especially with cheese and chickpeas! Love it! What a great way to use the leftover pumpkin! I am always throwing it into smoothies but do get tired of sweet applciations. 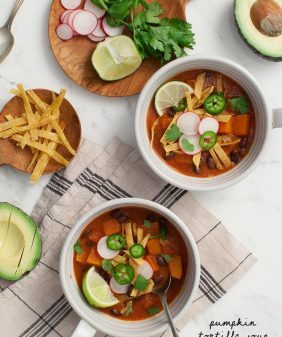 I have some leftover butternut squash and will definitely be giving that a try too! 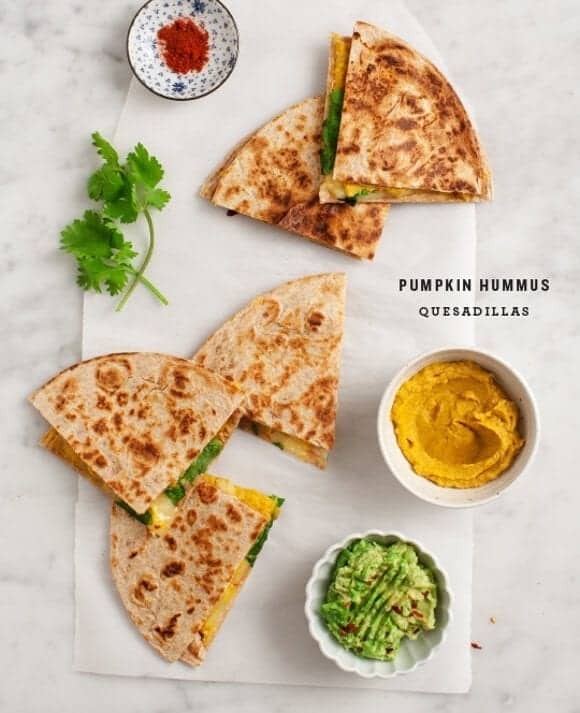 I love pumpkins and I love hummus – this looks like a perfect quesadilla to me! ohh, such a good idea! i just made a batch of puree for cheesecake, and had now idea yet what to do with the rest. definitely giving this a try 🙂 thanks for sharing! 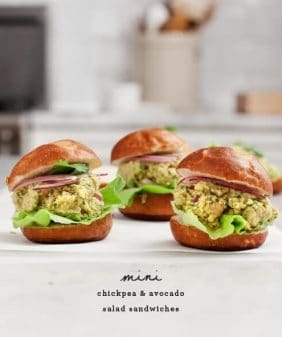 This looks fantastic and I bet they are delicious! Great idea! I just threw away some leftover pumpkin 🙁 Looks delish! I made pumpkin soup with coconut milk and yes, I had pumpkin puree left over – thanks for this. I love new ideas for hummus – this one’s great. Guess what I’m having for lunch tomorrow? Thanks for the pumpkin hummus idea. I love this creative use of pumpkin!! YUM!! Sounds amazing. But indeed, pumpkin puree/hummus goes with everything. SO GOOD! i usually just give the leftover purée to my dog, a few spoonfuls at a time. She loves pumpkin. But I will have to try this! I love savory pumpkin recipes. These look amazing. Def. saving this recipe! Thanks for this recipe! These were a huge hit at our party halloween night. For the leftover puree, I’m determined to find a way to add pumpkin to those vegan waffles you posted a bit ago! These look so good! Quick question: Is there another cheese besides Monterey Jack that you’d recommend? The pumpkin hummus is one of the tastiest things I’ve made. Thank you!! Thank you so much for the ideas!! I always have a bunch of pumpkin puree left over from making pies and I usually stick it in the freezer, and forget it. Quesadillas, hummus, and pumpkin are all my favorite things, so it’s a win already! Thanks again! Can’t wait to try these ideas! Made these the other night and my wife and 2yr old loved them. I made an extra batch of the hummus to freeze and see how it does as a quick meal with less dishes. Glad I found your site. Making the butternut squash risotto right now. Ha – glad the recipes are 2 for 2 – let me know how the freezing the hummus works out! This is still my husbands and my favorite meal for pumpkin season! We’ve turned so many of families and friends on to it too. we get so excited when canned pumpkin shows up at Trader Joe’s because we know it’s pumpkim quesadilla time! We like to substitute pepper jack for an extra kick. 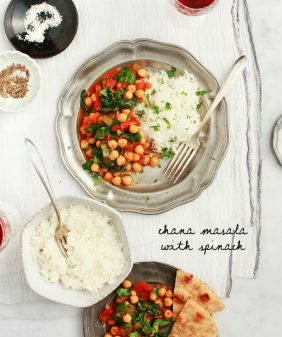 Thanks for creating such an easy, weeknight favorite dinner for us!